The Best 3 Pillows Online – Will Make You Happy in the Bed!! squeezing and hugging pillows to see how responsive they are..
Finding the right mattress is challenging but finding the perfect pillow is even more of a challenge. Pillows are the like the icing on a cake. While the cake alone tastes great, the icing makes the cake look great and taste even better. Pillows are the same way. Using a fantastic mattress is amazing but finding the perfect pillow to complement it completes a great night’s sleep. Below the best 3 pillows online you can buy today. If you’re in the market for a new pillow, I’ve got a treat for you. I’ve compiled 3 of the best pillows I’ve tested out. It was a tough decision picking from other favorites but these three definitely stood out. Let’s take a look at each one. Also remember, these pillows, all and each of them are a great unique gift idea for that special people in your life. They will keep these pillows for long term, and hopefully will remember you. Wright is one of the latest online mattress companies to join the fray. 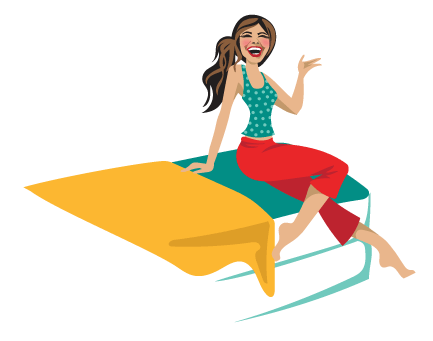 Their bed has been getting positive reviews from most people who have tried it. You can check out my thoughts about it right here. Like their bed, Wright knows how to infuse great quality into their products. Their duck down pillows and their comforters are made using 100% US-grown, white duck down. The material is sourced from verified farms with no live plucking or forced-feeding and all animals are humanely raised. These are sourced along the Great Lakes region to ensure quality and amazing comfort. A tight baffle is included to ensure a better down distribution. This extra detail ensures no thin spots so you get an evenly distributed comfort. A cozy 400-count, supima cotton then wraps around the piece tightly enough to secure the down while ensuring breathability and great airflow. The Wright Duck Down pillows combine absolute comfort and support. It’s the perfect choice if you don’t mind spending a bit for a luxurious and top quality natural pillow. 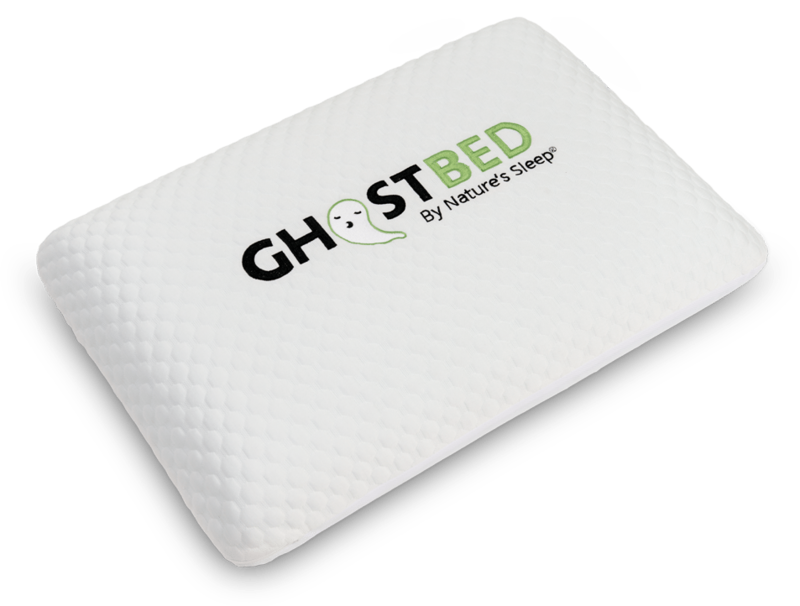 Known for offering great mattresses for an affordable price, the Ghostbed Pillow is equally amazing as their bed. The pillows arrive in a beautiful hard box with a thin paper wrapping to keep the pillows protected. The second thing you’ll realize is the lavender smell the Ghostbed pillow has opposite of what other foam pillows smell at first. 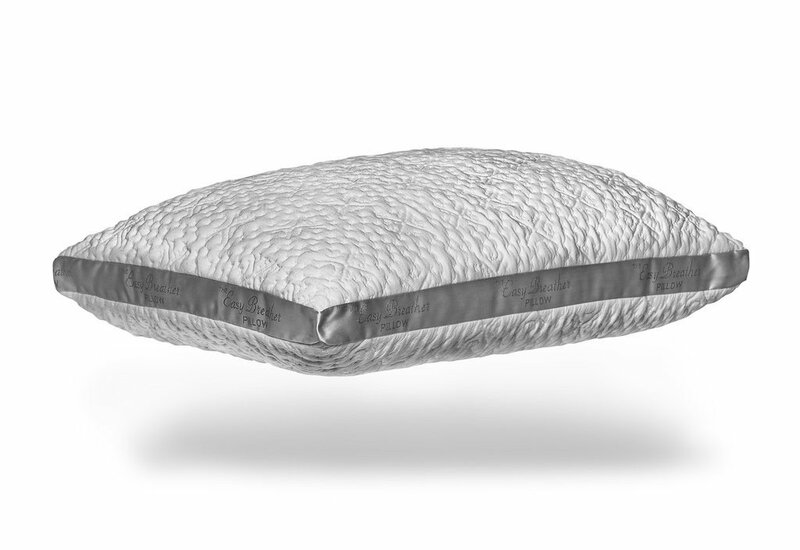 The pillow itself is comprised of aerated gel memory foam which lets air circulate with ease. It features a white, embroidered and removable cover so you can easily pop it in the laundry. This performance fabric also helps in wicking away moisture. The best thing I love about this pillow is its Phase Change Technology. This works by adjusting to the temperature of your head so if it’s too hot, then it will help cool you down. As for support, the memory foam works great in providing proper support and cradling my neck. I don’t have to toss and turn, fluff it or attempt to get it back in shape because it stays the same! It gives a great sleep with the amazing smell. The third spot belongs to the Nest Bedding Easy Breather Pillow. There are two versions available, one with a latex fill called the Easy Breather Natural Pillow, and the other one which we’ll talk is with a memory foam fill. I love the original one and that’s what I would recommend but it’s really a personal choice. 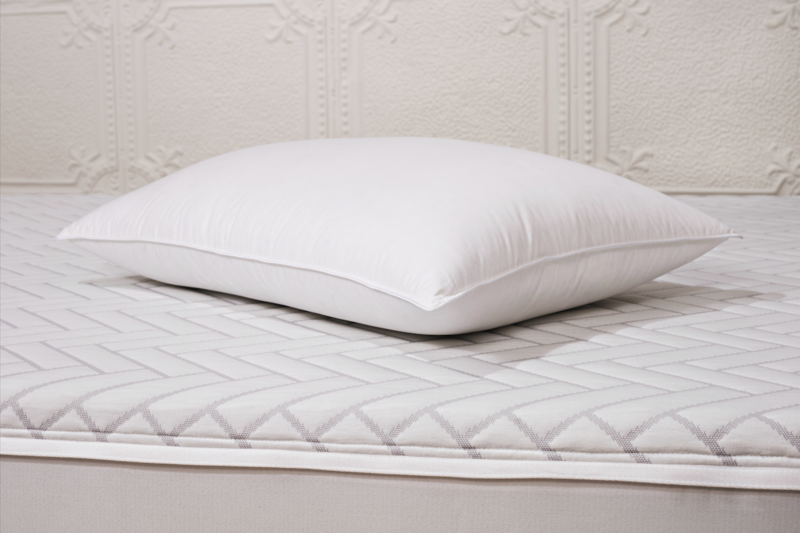 The inside of the pillow is made up of shredded memory foam fill, soft fibers and topped with a tencel blended cover. There’s a reason why they placed a proprietary blend of the shredded fill instead of using a block of foam –it’s more moldable and much more comfortable for a majority of users since there are people who aren’t fans of the stiff memory foam feel while they sleep. What I love about the shredded noodle fill is it easily conforms to my head. I can squish it into any shape after removing some of the fill and it’s just perfect. Oh yes, it’s adjustable, you can take out some of the filling and make it a more flat pillow if that’s what you like. A beautiful soft cover with a zip wraps around everything. There’s a sleek silver ribbon running along the sides and infuses a classic look to the pillow. I bought a Leesa mattress, but it seems like my pillow is not “tall enough” for that mattress, not offering a lot of neck support. What do you suggest? Hi Tanya, sorry for my late response. What would I recommend? Do you sleep on your side? Stomach sleepers like a very thin pillow/or no pillow. That’s why I’m assuming you either sleep on your back or sides. Nest Easy breather comes thick and comfy, but because it’s adjustable could be great for you. Leesa’s new pillow is another one that would be great for cushion and support. My always favorite is the Wright duck down, but it’s a bit expensive..